Are Labradors ever aggressive? 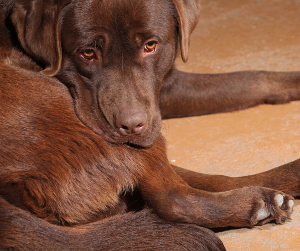 Are you worried your Labrador might be aggressive? Behaviourist Sian Ryan gives you the information you need. 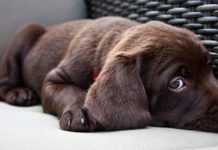 If you love Labradors partly because of their reputation as sociable and easy going dogs, then acknowledging that your own Labrador doesn’t neatly fit that image and is reactive around other dogs, or people, can be very difficult. It can be made much harder by other people’s responses. ‘But he’s a Labrador! They love everyone. Just let him off and he’ll be fine; it’ll do my dog good to get told off by yours’. Sound familiar? The reality is that there are individual Labradors who are reactive and use aggressive behaviour at times. The reasons or motivations for their behaviour will vary, but one thing is true of all of them: aggressive behaviour is totally normal. All dogs can use aggression to a greater or lesser extent depending on their individual temperament and experiences. Just like every person can lose their temper or slam the occasional door in frustration. 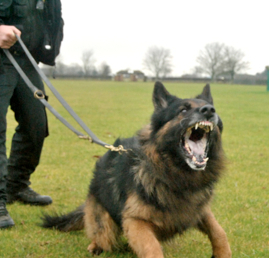 When working with aggressive and reactive dogs the aim is not to suppress the aggressive behaviour. Instead it is to improve the dog’s self control and remove the dog’s need to react aggressively by changing their emotional and behavioural responses to the trigger situations. How we do that varies depending on the likely emotion underlying the reactive behaviour. Generally canine social etiquette is ritualised and aimed at diffusing tension and avoiding conflict; aggressive behaviour carries a risk of injury and is therefore a last resort. Dogs will show early warning signs that they are feeling uncomfortable in a situation, such as turning or moving away, yawning, nose licking, and their pupils will dilate. If nothing changes, or if they are prevented from moving away, then they are likely to increase the intensity of their signals by growling or barking. If these more obvious indications are ignored, or worse punished because they are ‘unacceptable’ to humans, then dogs can feel they have no choice but to escalate to snapping and biting to get their point across. 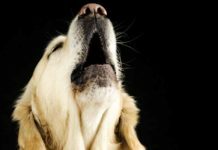 If the dog learns that the smaller signals are ignored, or if the intensity of the trigger is too high, then they will respond with the more overt behaviour such as barking, rushing towards in an attempt to drive the trigger away, snapping and biting. The aggressive behaviour in the image below is cued by the handler. Note the lack of tension across the dog’s forehead and around the whiskers, and the wide C of the dog’s mouth rather than shortened lips. These are a couple of the indications that this is a learned response. I wouldn’t advise ignoring the warning though! At the root of aggressive behaviour in this context, and probably the most common motivation, is fear: fear of a dog or person approaching; fear of what the consequences might be for their own safety or of losing something they are holding; fear that this is going to hurt. To reduce the dog’s need to behave aggressively we focus on changing the dog’s feelings about the situation: moving from fear to tolerance and aiming for enjoyment or positive anticipation. If the dog may be in pain then providing suitable pain relief is essential. Another common motivation for aggression, but one that is often mistaken or forgotten, is frustration. [wp_ad_camp_2]A frustrated dog is likely to show fewer of the lower level signals of discomfort, although lip or nose licks are common in times of conflicted emotions such as wanting to greet but not being able do because of the lead, or a fence. If your Labrador is bouncing on the end of the lead, weight forward, ears pricked, tail up, and barking with a high pitch then they are likely to be a frustrated greeter, who may behave more appropriately off lead when they can greet as they like. Many frustrated greeters, however, are socially inappropriate – rushing at other dogs and ignoring any signs from them that they are less than enthusiastic about the approach of 30kg of happy Labrador – and may well end up being snapped at, or worse, by the dogs they bounce on. 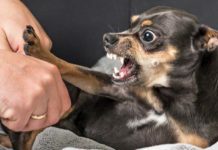 It is not uncommon for dogs whose reactivity manifests first as frustration to develop elements of fear-based aggression after being told off by other dogs for their social ineptitude, leading to considerable conflict of emotions around other dogs. Dogs who become extremely frustrated around other dogs, or when denied things that they want, may well redirect their frustration on to the nearest object they can find: the lead, the person or dog standing next to them, or a toy if one is available. Providing a suitable outlet for frustration-related aggression – such as a tug toy – is one way to manage the situation in an emergency. Does Predation Cause Reactivity In Dogs? It is worth mentioning that predation is also a common motivation for aggressive behaviour. 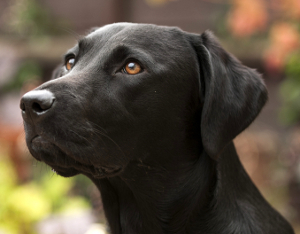 Labradors are not traditionally associated with catching and killing prey. But actually it is not unusual to meet dogs who are aroused by fast moving objects. Such as bicycles, running people and the more obvious small furry animals and birds in our fields and hedgerows. Again, if the desire to chase is thwarted then any resulting aggressive behaviour may well be frustration-related, despite predation being the initial motivation for the behaviour. 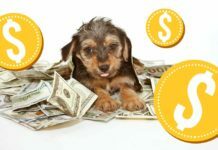 Is It Reactivity in Dogs Medical? There are several techniques that can be used to modify aggressive responses. Before considering any of them it is essential to rule out any underlying medical issue which may be contributing to the aggressive behaviour. Pain is the most obvious cause, so if your dog appears stiff, reluctant to move or uncomfortable at times then discuss this with your vet. It can help to take video of the movement, gait, or situations that concern you, so that your vet can see exactly what is happening, in a way that they cannot re-create in the clinic. Even if a clinical exam does not identify a source of potential pain it can be beneficial to trial a short course of pain relief and note any changes in behaviour or movement. Pain which occurs when playing with other dogs can often be at the root of the onset of dog:dog aggression; equally aggression towards people can be triggered by pain (or the fear of pain) on being stroked, or moved from a resting spot. As well as pain there are medical issues which in themselves increase the likelihood of aggressive behaviour so a thorough vet check is essential, especially in cases where the aggressive behaviour has developed suddenly. What Do You Do About Reactive Dogs? In the short term, and to ensure everyone’s safety, the most important thing for a reactive dog is to avoid or change the situations where the dog feels the need to use aggression. This helps them relax, improves their general welfare – because they are no longer on edge anticipating something which scares or arouses them – and also stops them practising the behaviour that we want to change. Every time your Labrador reacts aggressively they are strengthening the neural pathway that makes that behaviour more likely and harder to change; it becomes their default and may well be used in situations away from the initial trigger in the future. Aggressive behaviour which has generalised in this way is much harder to change. If your Labrador is reactive towards other dogs on walks, whatever the underlying emotion behind the reaction, then try to find alternative places with fewer dogs and keep your distance by turning around calmly before your dog can react, or look for a local space such as a riding school or dog training centre you may be able to hire for safe and secure walks. It is important to note that if your dog does react aggressively, whatever the situation. Scolding them or correcting them will not help them learn what you do want them to do instead, and may well make things worse as they then become concerned about your reaction as well as the thing that triggered their behaviour in the first place. Instead, calmly move them further away from the situation until they are at a distance where they can be calm themselves. If possible let the dog look at the scary, or frustrating, thing and reward them with tasty treats for being calm. This also helps them start to change their emotional response; so that the dog that scared them is now associated with tasty treats instead. 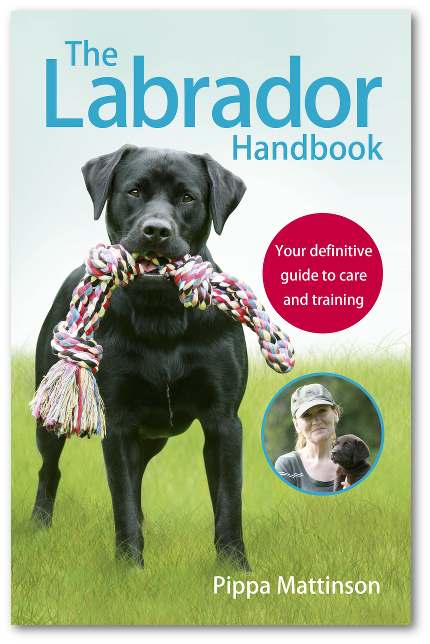 Changing your Labrador’s behaviour to reduce their reactivity requires time and patience; the longer the behaviour has been going on the harder it will be to introduce new, more acceptable, behaviours. We will next take a look at ways of changing emotions and behaviour in the medium to longer term. Aggressive behaviour is a normal part of social interaction. However, when considering your dog’s responses and looking for ways to reduce their likelihood of using aggression, it is also important to understand the potential your dog has to change their behaviour. In some cases the genetic tendency of a dog to be fearful, anxious or easily frustrated, or the length of time they have been practising their aggressive behaviour, will limit the progress you can make with them. You will need patience, and a willingness to accept that their needs are different from those you might have expected when you brought them home. This does not mean that you can’t have fun together; just that your life may be structured differently. There is an increasing understanding of the needs of sensitive dogs, and many more trainers and dog places offer activities that are perfectly suited to dogs who do not wish to run and play with other dogs, or who would rather have a bit more space around people. Scentwork and tracking are ideal, as are activity classes which offer lots of different options, from trick training to fun rally. The aim of any technique should be to reduce your Labrador’s need to choose aggressive behaviour over a more acceptable (to us) response, such as moving away or performing a different behaviour . This should involve acknowledging and working to change their underlying emotional response, not simply suppressing the aggression using punishment. There should also be a focus on enabling them to manage themselves in arousing situations, so that, in time, they can make the right choice without needing direction for you. Many dogs will also need help to learn the correct social skills around other dogs. Your Labrador is an individual, with individual experiences and genetics that make them unique; their behaviour modification plan should be as individual as they are. Working with aggressive behaviour requires expert help to assess, design and support you through the process. Even if you are able to manage the day to day behaviour modification training alone, the benefits of working alongside someone who can provide objective feedback, advice on the next steps and support are invaluable. You may have heard of several popular techniques for changing aggressive behaviour, including desensitisation and counter conditioning (DS/CC), differential reinforcement of incompatible behaviour (DRI), Behaviour Adjustment Therapy (BAT), Constructional Aggression Treatment (CAT), ‘teaching dogs’ and flooding. There are ethical arguments, claims of efficacy (or otherwise), and debate around all of them, although the least controversial and most widely regarded as effective is DS/CC, combined with DRI. Using DS/CC for your fearful Labrador means he will come to associate the presence of other dogs (or people if that is his concern) with the arrival of something he really wants. High value food is usually the obvious choice. This can quickly change his emotions from wanting the other dog to go away to wanting them to be around so that he gets the really yummy treat. This is usually done in conjunction with DRI so that he can start to learn how to behave appropriately and be reinforced for polite behaviour around other dogs. 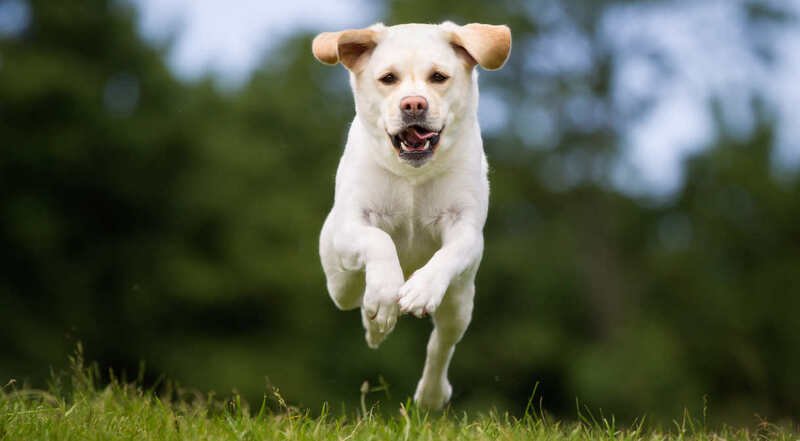 At all times your Labrador should be working at a distance where they are not reactive, and gradually moving closer to their trigger when they are ready to do so. Any signs of low-level fear or anxiety should be respected and the distance between the dogs increased until the fearful dog is comfortable. To continue working with a dog above threshold is stressful for your dog, counter-productive and risks an aggressive response. One of the main criticisms of BAT is that it relies on your Labrador feeling empowered, or relieved, by the other dog moving away in response to calm behaviour from your dog. In learning theory terms this is negative reinforcement (i.e. the removal of something unpleasant to increase the likelihood of the behaviour happening again) of the calm behaviour; if your Labrador continues to offer calm behaviour in the presence of the other dog he must have found it reinforcing when the dog moved away. This suggests that he was uncomfortable beforehand, even if only marginally. CAT and flooding are far more extreme in their use of relief as a reinforcer and should be avoided. In all cases of aggressive behaviour improving your dog’s ability to manage their own behaviour through impulse control exercises and by creating default calm behaviours, can be beneficial. It helps to reduce their reactions and teaches them to switch from the default ‘bark at other dogs’ to a default of ‘turn away from other dogs’. Examples of this include sitting automatically before their lead goes on, or waiting calmly without being told when you open the boot of the car. This is particularly useful with frustration-related aggression where learning to stay calm when denied access to things he wants is the key skill your Labrador will need to learn before you can work on his manners around other dogs. As with any kind of training or behaviour modification, finding a trainer whose skills and knowledge are suitable for your reactive Labrador is key. You must have confidence that they have a range of appropriate tools available to them, that they are able to accurately assess and respond to your dog and that you would like to work with them. Most cases of reactive behaviour take time to improve so you may be spending a lot of time with them and you must trust that they are competent. 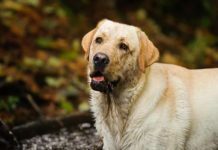 This article has only scratched the surface of the options and techniques that are available to help you and your reactive Labrador, but good help is out there. Sian Ryan is an expert Animal Behaviourist based in Cambridgeshire. With several years of training experience and after completing her MSc, Sian worked as a behaviour counsellor and trainer in the University of Lincoln Animal Behaviour Clinic, where she was able to apply her MSc research in to Self Control in Pet Dogs to her behaviour and training work. Sian owns and runs the Developing Dogs Training and Behaviour Centre in Cambridgeshire, as well as giving seminars and workshops nationally and internationally. Her first book, No Walks? No Worries! with advice on how to maintain wellbeing in dogs whose exercise is restricted, will be published in September. The roots of reactivity and aggression often lie in puppyhood experiences. 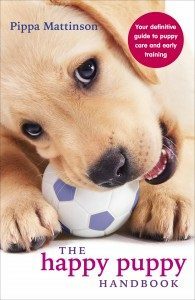 For a complete guide to raising a healthy and happy and confident puppy don’t miss The Happy Puppy Handbook. Previous articleCan You Get a Labrador If You Work Full Time? I love this article. I’m not sure how I didn’t find it when I was desperate for a solution back in April. I really just wanted to comment here to say that all of the suggestions in this article do work, but you have to be patient and get over the whole “but labs are supposed to be nice” issue. My female black lab is crazy smart, well-trained, obedient and successfully socialized with pretty much anything you can think of. But, just after turning 2, she started showing her teeth and snapping at random people. After a visit with her trainer we determined that she’s actually scared of people and being touched (still don’t know where that came from) and for some reason felt she had to stay to be pet. For seven months we have eased her closer to people using treats. We have learned to read her stress indicators and immediately intervene to calm situations. I have learned to get over being embarrassed about my unfriendly lab and be blunt with people on her behalf. We’ve also successfully taught her to leave when someone reaches for her and she doesn’t want to be touched. We haven’t had a single incident in five months and we’re both so much happier. It can be done…see a professional, be patient and you’ll get there. I have a 5 year old black lab mixed and a 13 year old golden. Recently, the lab has started to show signs of aggressive behavior towards the golden just at random times of the day for no reason. They could just be sitting in the room and the lab will all of a sudden be growling in the golden’s face, snarling and barking and looking like she’s going to attack her. It’s very scary and we’ve never seen her act this way before. But then it passes and she’s fine with her. It’s just so odd. We’ve had the lab since she was a 10 week old puppy so she grew up with the golden her whole life, they are not new to each other. I’d appreciate any input. Thanks. my black lab will growl at my 5 year old nephew when he comes too close to him but is okay with my 8 year old nephew. I also tried taking him to the dog park and there were other off leash dogs there and so i decided to keep him on the leash to make sure he didn’t attack but then another black lab walked up to us while his owner was no where in sight. and my dog started growling, barking, had foam around his mouth (but he doesnt have rabis) and if i wouldve let go he wouldve probably killed the dog and the dog didnt even do anything he just walked up to us. and it kinda upsets me because i thought they got along great with kids and other labs. someone please help what can i do? My labrador is 10 years old. She use to belong to my son. I just got her 5 months ago. My problem is her aggression when I want to feed her. She starts jumping up at me and growling and barking. I have tried to make her sit before I feed her so I can place her food in her dog dish. She tries to also nip at me. What can I do to stop this. Hi! My 5 year old lab has recently started randomly growling at my husband when he goes to pet him. Never snaps, lunges or does anything else at that time, but we’re concerned. He’s always been one to growl at someone too close to his food, but this behavior is completely new. He does have occasional seizures and we are wondering if that could cause random behavior issues. What should we try with this behavior and would hand-feeding be a good idea to break the food related issue? Thank you! I am having issues with my lab who is 11 months old she is very aggressive towards me i am the one who walks her every day and feeds her takes her to training etc but she seems to be dominant over me i was told to if she gets aggressive to get down and put her on her back and be strong with her but this has created a very bad issue. most days she is lovely and i felt we were moving through a positive stage i am working hard and putting positives in place but! I feel she may be afraid of me but i do everything positive to her she basically is very unhappy with me. She was very aggressive today i dont know why as she had a bone but tail was wagging i went outside and talked to her like normal and patted her and then she just jumped at me and started biting and it was quite horrific I had no warning like no growling so unusual as i can touch her food etc normally.as i was unable to move and get inside. i am in shock that she reacted this way, i went out again after awhile and she did the same thing! Not to sure what i should do but honestly if it continues i think i will have to get rid of her! You could be describing my 11month old lab collie cross. He’s made so much progress in the last few months but he really turned on me, bit me and shredded my clothes earlier this week. I’m hoping it is just a phase. How did your dog get on? 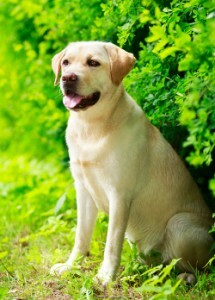 Hi, My male yellow lab is 2yrs old next month. He has always been food aggressive but in the last 2 weeks he has been charging me and only me for no reason(he is happy a playful with my 8yr old, 5year old and husband). The works-teeth, hackles, growls, snaps, tail straight up. He isn’t desexed, I’m now thinking is it too late to desex him and I also wonder would it even make a difference. 2 days ago we were walking with her and she saw a Griffin Terrier and attacked it – completely unprovoked. It scared us all as she has never, ever done anything like that before (usually she is very submissive). Today we were out walking again and she spotted the same dog at a distance and took off and did it again! I am absolutely flummoxed and have no idea how to handle this situation. Any tips or ideas would be greatly appreciated. hi I have a mixed Labrador with german cheaperd hi is 5 months old ,I am facing a problem with him . when he is done with the food all goes back to normal . We have a black lab named Hannah. She is very lovable to us, but aggressive towards my 3 yr old nephew and sister in law. He hates the mail man. My daughter was bending over to put the dog on her lead, when Hannah bolted out of her grasp to the front where the mail man was. The dog was snarling and growling. She has bit my daughter for no reason in the past. We tried everything. We play with her a couple times a day outside, she is well loved.. but we are talking about getting rid of her. We cannot get a lawsuit or fined.. and thats what is going to happen. Any helpful ideas? The litter we got the dog from.. well there are other dogs in the same litter that is acting the way Hannah has been acting. Is this genetics? Hi Nikki, sorry to hear you are having such problems. There are several causes of aggression, and it isn’t possible for me to speculate whether or not your dog’s behaviour is hereditary. It could be that the puppies in the litter were all poorly socialised. You need to focus on your dog and what to do next. The first step is to get her to a vet. Aggression can be caused by a physical illness and you need to rule this out. Then ask your vet to recommend a behaviourist who will visit your dog in your home. They will observe the dog and advise you as to what you should do. My 2 years labrador is very aggressive, Even he can hurt us sometimes with his aggressive behavior and also put some scratches on my arms. Please let me know what to do in this situation. Is he is looking for mating OR else. I have a black lab that’s aggressive a to nearly every dog, on the lead head will growl & bark aggressively & lunge at them, yesterday he attacked a neighbours dog & it wasn’t pretty, he’s pulled me over before, I’m worried he is going to hurt someone’s dog he is so nice in every other way towards people & children, very freindly & playful, I don’t know what to do with him & im considering getting rid of him if things don’t improve 🙁 I found out he was badly attacked twice as a puppy before we goot him, any help would be great. Have you tried taking it to a trainer to counter conditioning / desensitize him or do it yourself if you know how. Usually that will work with consistency and positive reinforcement through time. Check out youtube I know there are some videos on this I can’t say they are all valid so please use discretion. I need help, I have 10mo labrador male. He is great for the most part but recently when we go on walks he does not want to come in. He gets aggressive where he will strike at you or he will pull away hard. I love him but he has bitten me more than once. I do not know what to do. I don’t want to give him up but it seems like that may be my only option. I have a lab I rescued at 10 weeks. VERY ball driven! Once he hit a year he started fights at the dog park over the ball. We removed ourselves from the park and got a trainer at 18 months. He learned the ball wasn’t always his, but now reacts to dogs period. He was playing with a dog his know since we got him the other day….running around. Once the play went to a boxing type move he lasted about 30 seconds. There is no warning!!!! He just turns and starts fighting and won’t stop until I pull him off. Iam just experiencing the Same thing with my Lab cross ? it’s mainly sticks, but she’s got obsessed with balls also and has started a reaction too. Shes loves to play and is extremely over friendly with all dogs, even if there aggressive she doesnt react.. But when u have a stick or ball its Turning her aggressive towards other dogs if they come close.. I also had to pull her off another dog last week and today I senced the same thing and removed her. It’s really worring me as we go to the dog park everyday day since she was 8 weeks old..
Why is this just started to happen ..
Have you had any luck with the training? our nine year old choc lab Charlie, see s other dogs,his tail goes up and he runs towards the other dog, growling and snapping, frightening the dogs owners, then when the dog submits he starts running chasing and playing with the dog, this isn’t every dog but about one in eight. I have a 4 yo Labrador Retriever. He is extremely friendly towards humans. 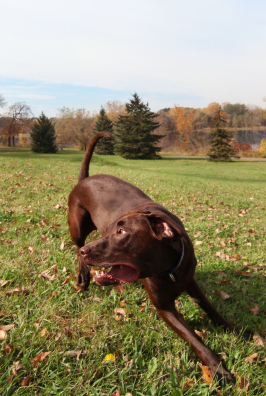 He tends to get a bit aggressive in dog parks especially when hes not on a leash. He seems okay with other large breeds, its the smaller ones that seem to bother him. He tends to project that predatory instinct of a dog with small breeds. I am quite confused by this behavior of his, as he is otherwise a very calm and friendly dog. Would really appreciate some advice on how to make him stop doing this. Many dogs act one way towards humans, and act completely different towards other dogs. Many dogs that are calm and friendly towards humans, are aggressive towards dogs. There is nothing to be confused about, as it is, sadly, a pretty common behavior. You should find a good behaviorist who can help you in person. (yes, sadly that can be expensive). And go only to dog parks that have separate areas for large dogs and small dogs. Don’t let your dog interact with small dogs unless there is a fence between them, or your dog is wearing a muzzle. Also, give him structured exercise by walking him on a leash as much as possible every day. Don’t rely just on dog parks for his exercise. Yes I’ve found my 2yr old lab to be over excited around other dogs. She is fine with big dogs and is very submissive straight away but around small dogs often chases them and then becomes quite vocal and can be agressive. Is it possible she is just a dominant female around smaller dogs and just doesn’t like them? If you give treats when your dog is behaving badly, your dog will feel like you are rewarding him for the bad behavior. 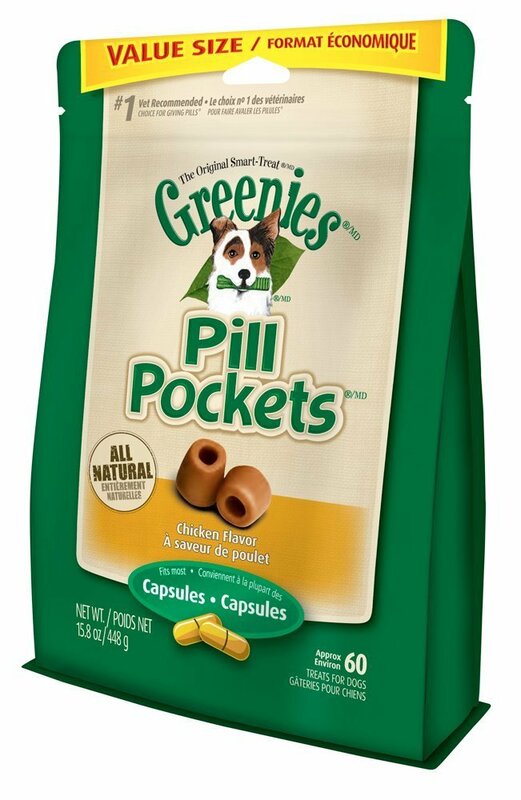 Treats only help if you give them when your dog is being good. My 2year old yellow lab has bitten me on the hand. She is a rescue dog and was found as a stray. She is perfect in every way with a lovely calm temperament. Except for when she wants to play with the ball. She gets very over excited as soon as she spots it and jumps up and pesters until she gets the ball. She jumped up and bit my hand trying to get the ball. She doesn’t do this with food and doesn’t Jump up at other times. How can I stop this? Hello I have a chocolate labrador who is 2 years 10 months. I am pregnant 28 weeks and my dog has started becoming aggressive towards me. This is only when he is around me by himself. I have also got spd so finding it hard to control him and take him out so other family members are taking him out on walks and I am still just not as much. He won’t seem to settle during the day and constantly barks and growls and gets very excitable trying to chew his bed and has gone to bite me on several occasions. We don’t want to sell him but getting to the point where we might have too if this doesn’t stop as I am starting to feel scared. Thanks, Nicola. Hi, Nicola. I know that your post was written several months ago, and you must already have given birth by now. Hopefully your situation with the dog has been resolved. I wanted to say, though, that I think in your position, the best thing to do would be to get rid of the dog. Perhaps find a home with owners who are aware of the aggression he was displaying, and who are willing and able to deal with it. 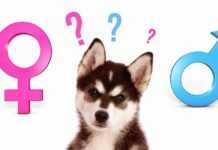 Most dogs, when their owner becomes pregnant, become protective of her, not aggressive towards her. After all, their owner is the person a dog loves the most in the whole world. The fact that your dog became aggressive towards you, whom he should love so much, makes me scared of what he might do to your baby. For your baby’s safety, you need to find a new home for your dog. Again, perhaps this matter has already been resolved, and I hope everything turned out well for you and your baby. Hello. I bought a female labrador a couple of weeks ago. She’s nearly 2 months old. She is quite active and playful but many a times, she has tried to bite the family members. She is pretty aggressive towards her stuffed toys. We left her in our grandma’s house two days ago where its more spacious for her and we have another dog there, a male 11 year old spitz I guess. My mum informed me that she has tried to attack him several times and he is scared of her and refuses to come out of the house. If you could help me with what to do, I’d be truly grateful. Thanks a lot. I have a 3yr old black lab. He has aggressive problem with stranger men the most. I’m concern cause he snaps at there ankle. What can I do? I don’t want to have to get rid of him. I have a 4.5 year old lab that we rescued from a shelter a few months ago. He gets along great with my other dog but he occasionally has aggression issues with toys and food. I can take his food dish away while he is eating without him reacting but if he gets a hold of human food and you try to take it away he growls and snaps. He also does the same thing if you try and take a toy away from him. It’s not all toys just random ones. I don’t know what to do with this behavior because he is such a sweetheart. I am becoming increasingly concerned about the behaviour of my 4 year old Lab. He is my 4th Lab, but has started to display some aggressive tendencies towards other dogs which I have never known with my previous dogs (which have all been much more ‘typically labrador’ in their behaviour). I have had him since a puppy, and his behaviour with other dogs has never been very good – generally he either ignores them completely, or tries to mount them. If a dog is aggressive towards him, he does tend to snarl/snap back. However, just recently, there have been occasions when, on a walk off his lead, he has gone running directly at other dogs, snarling and barking seemingly to provoke a fight, even though those dogs have not shown any aggressive or threatening signs towards him. It is most upsetting for the other dog owners as well as me, and is certainly most un-labrador-like. My dog is a pedigree dog, gets regular, long walks and is very fit and healthy in all other respects. He attended puppy classes regularly until about 18months old, and was spayed as a puppy. What can I do to stop this, seemingly increasingly aggressive behaviour? Any suggestions would be gratefully received. Hi I hope you don’t mind me asking but did you get any help with your Labrador, my 2 yr old fox red castrated dog is doing the same things as your dog, I’m at my wits end now, my husband said if our lab does it again he will have him put to sleep as he doesn’t trust him now. Hello, my name is Anne Ochoa. A week ago, we adopted a 3 month old black lab mix. She looks like a pure black lab so I’m not sure what her other breed is. The majority of her physical and emotional characteristics are those of Labradors. My question is this. She is very afraid of my teenage son (18) and other young men. She loves my husband and older men and loves females. What are some things we can do to help her bond with our son? He is extremely sensitive and hurt because of her behavior, however, we remind him that she is a rescue. We are trying to set a routine with him using rewards, treats, calming and soothing methods, etc. Any suggestions would be greatly appreciated. Thank you in advance for any advice you can give me.